Dream better at the Sleep Inn and Suites in Gatlinburg, TN near Gatlinburg Convention Center and Great Smoky Mountains National Park. 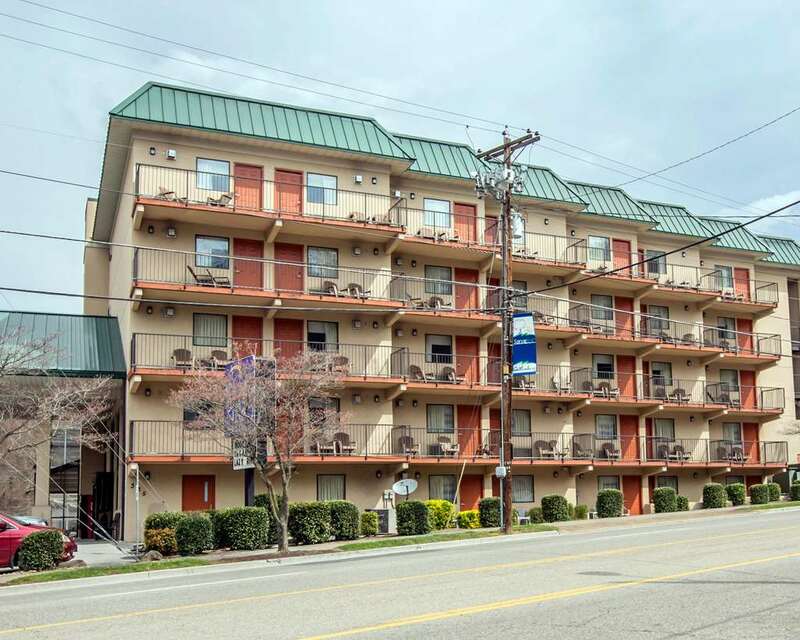 Nearby destinations include Ober Gatlinburg Ski Area and Amusement Park, Dollywood Theme Park, Titanic Museum, Rocky Top Sports World and Gatlinburg Space Needle. Enjoy amenities include free breakfast, free WiFi, guest laundry facilities, a 100-guest meeting room, access to copy and fax services and an indoor heated pool with lazy river and hot tub. Guest rooms include a flat-screen TV, coffee maker, hair dryer, iron and ironing board. Also, earn rewards including free nights and gift cards with our Choice Privileges Rewards program.